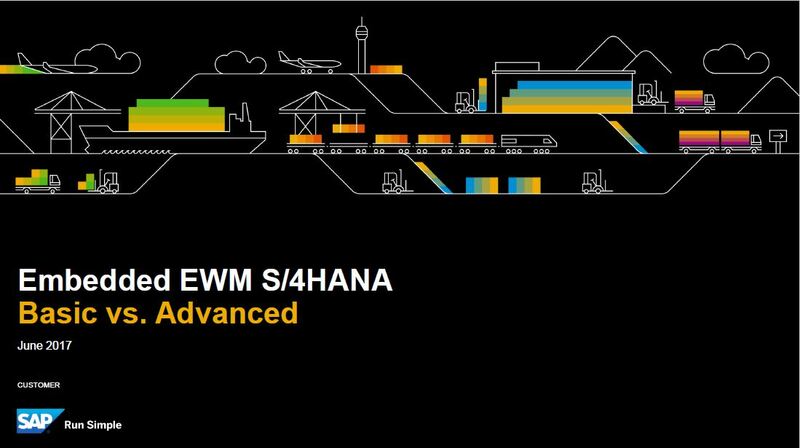 Are you getting ready for EWM Embedded on S/4HANA? SAP EWM has been embedded into SAP S/4HANA – the SAP in-memory ERP suite that acts as the “digital core” of your entire enterprise – and is already in the second version 1710. My Supply Chain Group (MSCG) participated in SAP’s Solution Acceptance Testing program in Waldorf, Germany for both the releases of SAP EWM embedded on S/4HANA. MSCG is participating with SAP as a select by-invite-only partner. SAP requires program participants to provide expert EWM implementation specialists in order to meet the rigorous requirements of the program. MSCG is engaging principal level EWM specialists that belong to MSCG’s Supply Chain Execution practice for the program’s 2-phased, four-week total duration. MSCG’s Supply Chain Execution practice provides EWM expert implementation services in the U.S., Canada and Latin America. Conducting impact assessment and determining opportunities and benefit of the EWM embedded on S/4HANA release to MSCG clients and prospects. MSCG is committed to its strategic partnership with SAP and to its SCM global customers and business partners. MSCG continues its on-going investment in SAP Extended Supply Chain solution expertise and capabilities growth in order to better serve its market.